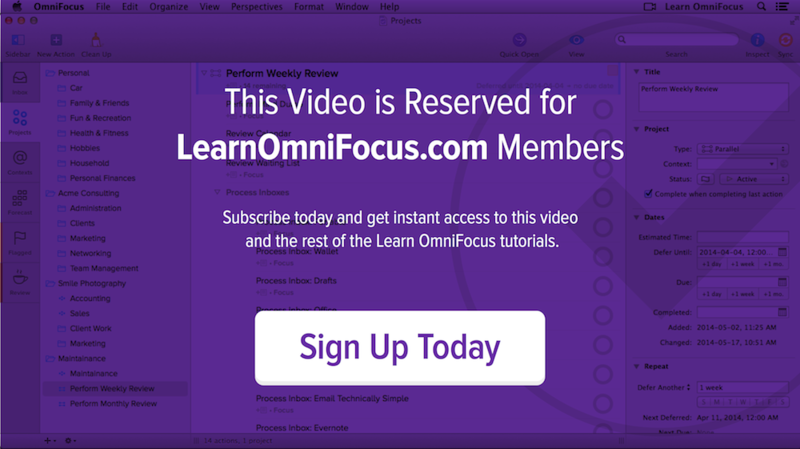 If you use the Omni Group's free Omni Sync Service you can email your actions into OmniFocus from anywhere. Setting up a "mail drop" email address in OmniFocus 3 is essentially the same as it was in OmniFocus 2. The process for emailing a task into OmniFocus is exactly the same in OmniFocus 3. Simply send an email to your mail drop email address from any device and it will end up in your OmniFocus inbox. The subject of the email becomes the title of the action and the body of the email is added to the note field. If you use the Omni Group's free Omni Sync Service, then you can create a "mail drop" email addresses. Any email sent to these special email addresses will conveniently end up in your OmniFocus Inbox. The Subject of the email becomes the name of the action and the email contents, including any attachments are added to the notes field. If you haven't already set up Omni Sync account, watch this video to learn how. How to create a special "mail drop" email address. How to create an action in OmniFocus by redirecting an email message in the Mac OS Mail app. How to create an action in OmniFocus based using the email sharing feature in Tweetbot for iPhone.